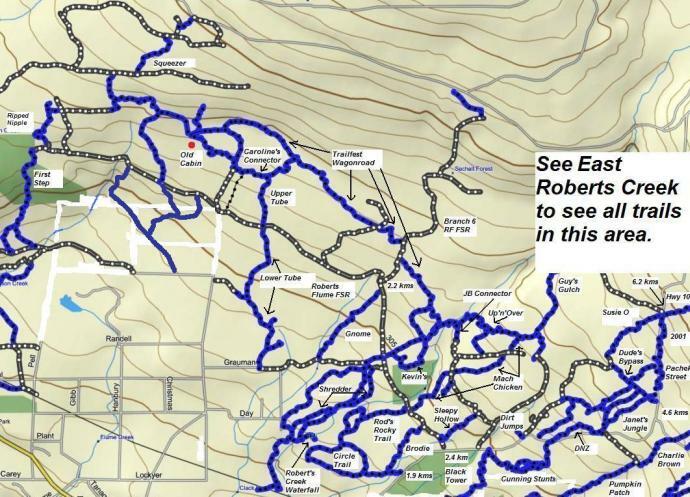 Click on a trail in the Roberts Creek West map below to see details. Note: The blue tracks are trails and the dark gray tracks are logging road spurs. Click here to download a larger, pdf version of the map below. Click here to return from Roberts Creek West map to Roberts Creek trail descriptions. Click here to return from Roberts Creek West to the Sunshine Coast Trails Home page.